The Palm Beach Post reports that short-cruise line Bahamas Paradise Cruise Line, which operates Grand Celebration (which was formerly Carnival's Celebration) on two-night cruises from Palm Beach to Freeport, has been sold. The new owner is Paradise Cruise Line Operator, and its chief investor is a familiar name in the cruise industry. The complete story appeared in the December 29 edition of Cruise News Daily. AIDA said today their next ship, AIDAperla, will enter service two months earlier than announced. It will begin sailing a Western Mediterranean itinerary on July 1 from Palma de Mallorca and Barcelona. the first major international line to homeport at Manila. Photo courtesy of US Coast Guard. All rights reserved. May not be copied or used without express permission. 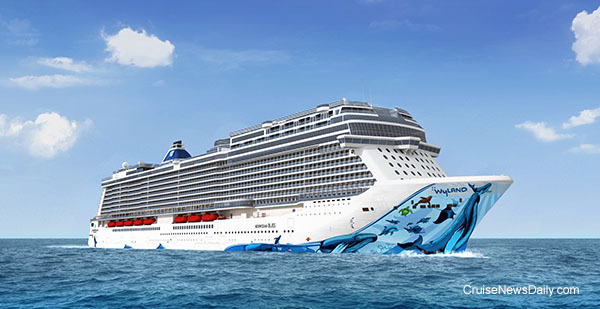 Norwegian Cruise Line announced they have completed the installation of Exhaust Gas Cleaning Systems (scrubbers) on two additional ships, Norwegian Pearl and Norwegian Gem. 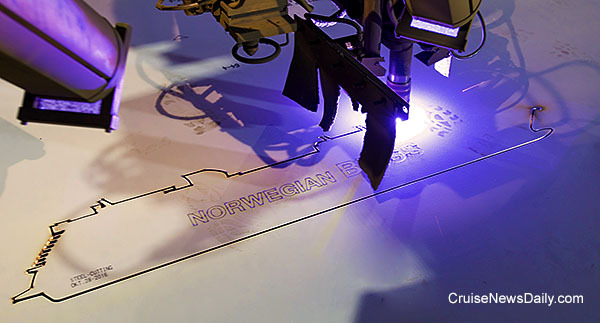 Earlier this year, Norwegian Jewel was the first to be retrofitted with the technology while the ship was in service. 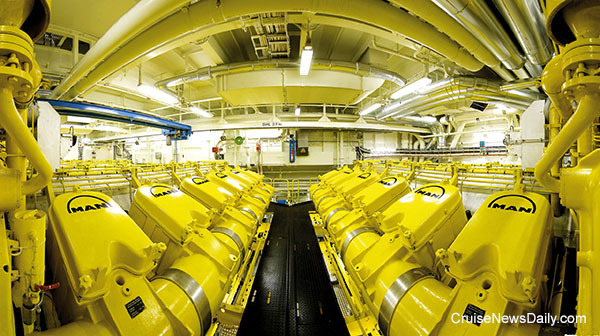 Five scrubbers were placed on each ship, one to handle each engine. It's a two-year project that takes approximately 100,000 man-hours to complete. In case you don't have your calendar marked, next Monday is the deadline for organizations in Juneau to submit their proposals for how to spend the city's head tax that was collected last year from cruise passengers visiting the city. A 74-year-old British woman went overboard from Queen Mary 2 sometime early Friday morning (December 23) while the ship sailed from New York to St. Maarten. 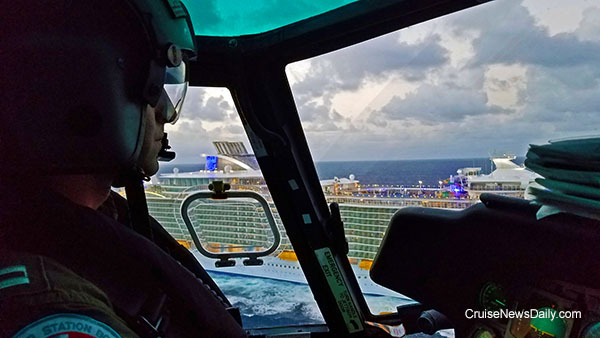 The US Coast Guard suspended their search at 5:44pm on Friday for a 22-year-old man who went overboard from Independence of the Seas on Thursday morning. Korean shipbuilder STX was ordered to liquidate its overseas assets by Korean courts when it filed bankruptcy last spring. One of those assets is STX France, the former Chantiers de l'Atlantique shipyard at Saint-Nazaire. Earlier there were rumored to be three or four interested bidders for STX France. Today, South Korean newspapers were reporting that the court had revealed they have received only one bid. When Dawn Princess joins the P&O Australia fleet next year as Pacific Explorer, it will have a brand new livery - even for P&O. The new livery will feature the Southern Cross, a national symbol in both Australia and New Zealand, and one of the brightest constellations in the southern sky. Photo courtesy of P&O Australia Cruises. All rights reserved. May not be copied or used without express permission. Costa has a new advertising campaign featuring supestar pop singer/songwriter Shakira - and she has a new love. Fathom Travel said today they have obtained approval to add the Cuban port of Santiago de Cuba, the second largest city in Cuba, to six of its upcoming Dominican Republic sailings. Yes, this will reduce time in the Dominican Republic by a day, but it will add a stop that should create a lot more interest in the Dominican program. The complete story appeared in the December 22 edition of Cruise News Daily. 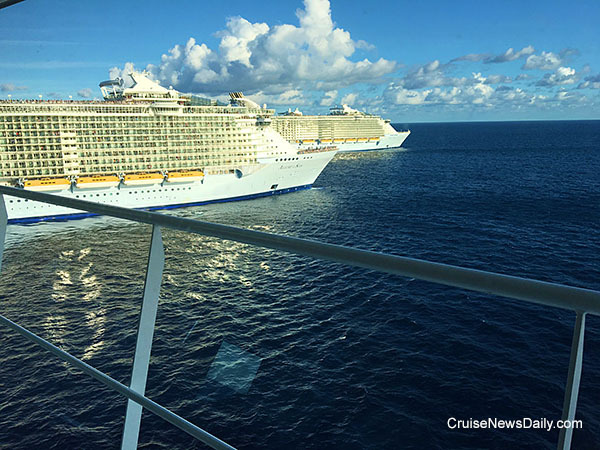 A 22-year-old American man went overboard from Royal Caribbean's Independence of the Seas early this morning at 1:45am when the ship was approximately 33 miles southeast of Key Largo. Details appeared in the December 22 edition of Cruise News Daily. Port Everglades receiving approval to move forward widening and deepening their channels to accommodate larger ships. MSC and STX France have finalized the contract converting two options for Meraviglia-class ships to firm orders. The two ships will actually be “Meraviglia-plus-class” ships, progressions from the design of the original two. These ships will grow from 167,000-grt of the original two, to 177,000-tons. They will also balloon from 2,250 staterooms to 2,450 with a maximum capacity of 6,300 passengers. They will be 1,086 feet in length. Details appeared in the December 21 edition of Cruise News Daily. Occasionally, you come across a commercial that's so good, you want to watch it again, so you do. And maybe even a third time. Cunard just released one like that. 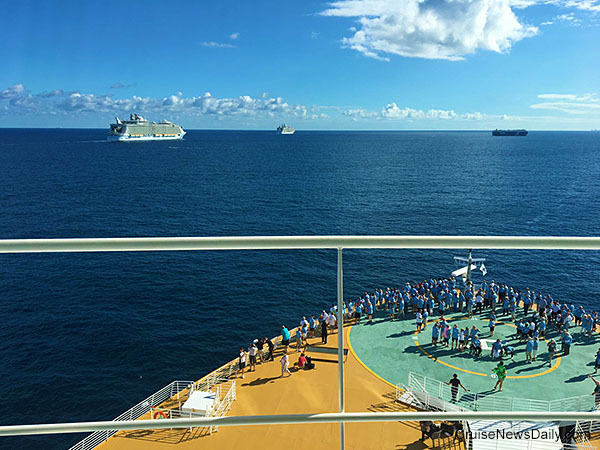 The complete story appeared in the December 21 edition of Cruise News Daily. Norwegian Cruise Line unveiled their May series of cruises to Cuba today and opened them for sale, and it looks like they have the program most travelers probably have in mind when they think about a cruise to Cuba - at least at this point. 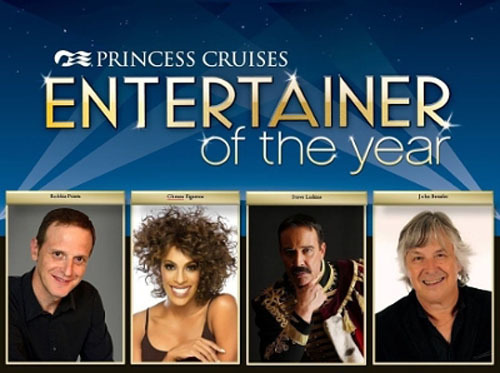 Details appeared in the December 20 edition of Cruise News Daily. Virgin Cruises had a splashy announcement that they were going to order, but today, they quietly signed on the dotted line to finalize the order for three ships from Fincantieri. The builder said they would be built at their Sestri Ponente yard near Genoa for delivery in 2020, 2021 and 2022. 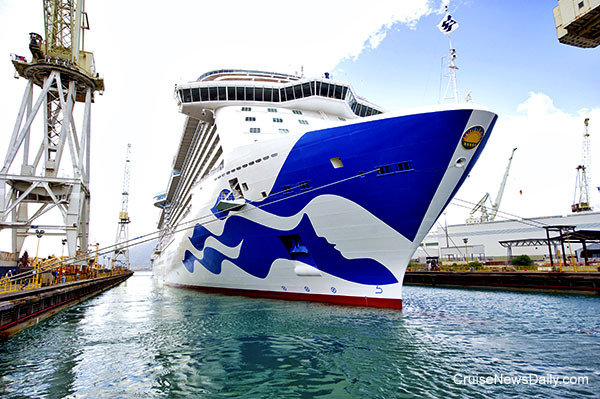 The complete story appeared in the December 20 edition of Cruise News Daily. Last year marked ten years of Royal Caribbean's (RCCL, the parent company) Save the Waves program which focused on reduction of emissions and waste. 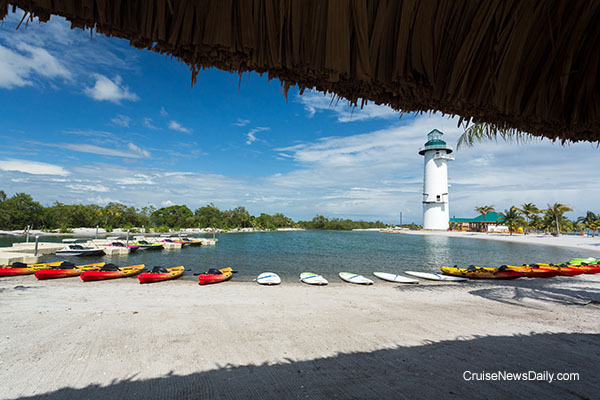 The complete story appeared in the December 19 issue of Cruise News Daily. Details appeared in the December 19 edition of Cruise News Daily. RCCL's Azamara brand also was approved for one sailing to Cuba, and today they opened it for sale and provided some details. Given Azamara's focus and way of crafting itineraries, this cruise and the limited number of sailings (one) oddly seem to fit Azamara's clientele better than any of the other lines' programs in this recent group of approvals by the Cubans. 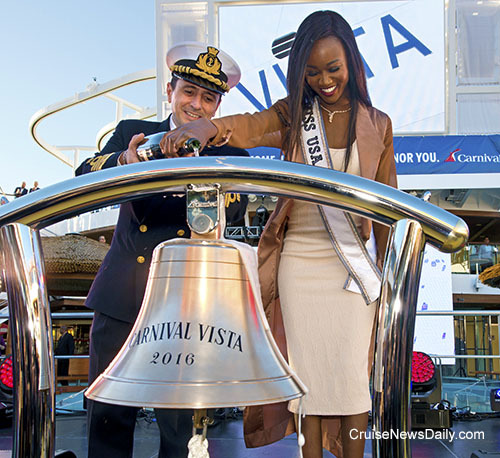 The complete story appeared in the December 9 edition of Cruise News Daily. Royal Caribbean International today detailed the initial limited program the Cuban government approved for their cruises to the island nation. The first will be from Miami, and the other two from Tampa. All, as anticipated, will be aboard Empress of the Seas. The line said they would position Empress at Tampa for at least the balance of the summer season for four- and five-night cruises. 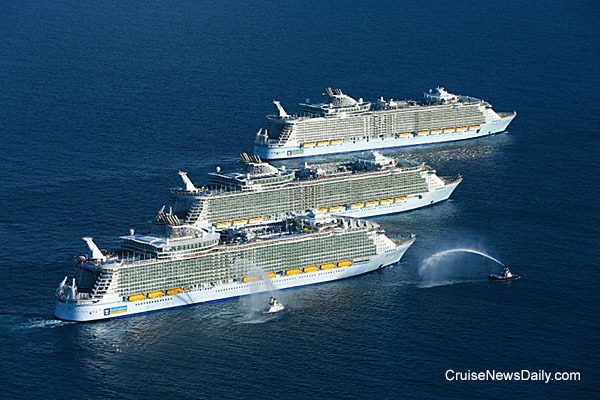 This will be the first time Royal Caribbean has operated from Tampa during the summer season. Details appeared in the December 9 edition of Cruise News Daily. Until now, most of the talk about cruising to Cuba has been about cruising to Cuba: Taking a cruise that goes to Cuba and seeing Cuba. The assumption has been that once you see Cuba you come home. The single option that has been out there so far, Fathom, has sailed from Miami to three Cuban ports and then returned to Miami. Yesterday, Oceania's program was one of several approved by the Cuban government, and today they detailed it publicly and opened it for sale. 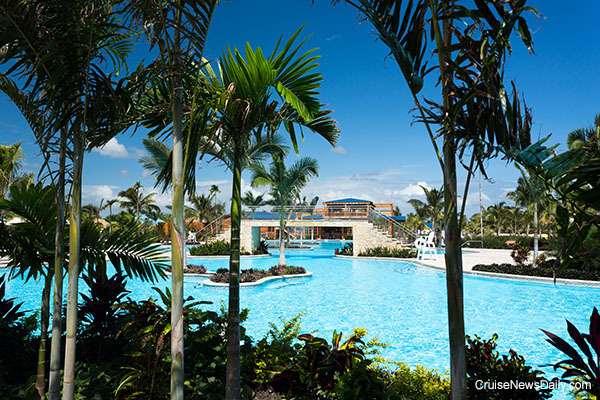 Oceania is the first US-based line to treat Cuba as simply a port of call like they do any other Caribbean port. 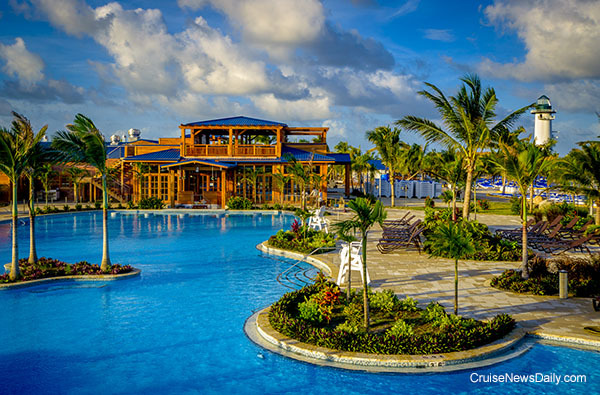 Details appeared in the December 8 edition of Cruise News Daily. Holland America Line has made the decision to cancel all port calls in Turkey through 2017. 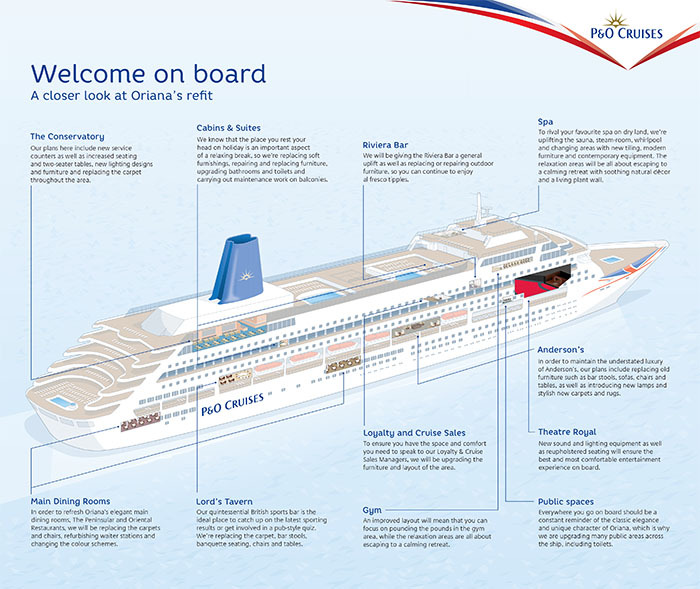 The move follows a similar announcement by Cunard & P&O Cruises, also owned by Carnival Corp. This morning, the government in Cuba approved programs to the island by three NCLH brands and two RCCL brands. Even though these limited programs are the beginning of changing the game in the Caribbean, Cuba didn't fling the doors wide open, and the US rules are still in place. Both Royal Caribbean Cruises Ltd and Norwegian Cruise Line Holdings announced this afternoon they have received approval from the Cuban government to begin cruises to the country from the US. NCLH says their Oceania brand will be the first to call on Cuba with Marina on March 7. Seven Seas Mariner of their Regent band will be next with two cruises in April 2017. Norwegian Sky will follow up with a selection of four-day cruises that will overnight in Havana in May. RCCL said their Royal Caribbean International and Azamara Club Cruises brands will operate cruises from Florida to Cuba. The company said details will be announced soon. The cruise itineraries will comply with U.S. Department of Treasury rules that permit travel companies to transport approved travelers to Cuba to engage in people-to-people activities as defined by the U.S. Department of Commerce, Office of Foreign Assets Control (OFAC). Cunard said today there will be no Turkey on Thanksgiving in 2017 - and no Turkey any other day of the year on any of their ships. The line has again canceled all calls to all Turkish ports in 2017 due to safety concerns. Sister line P&O agreed and did likewise. 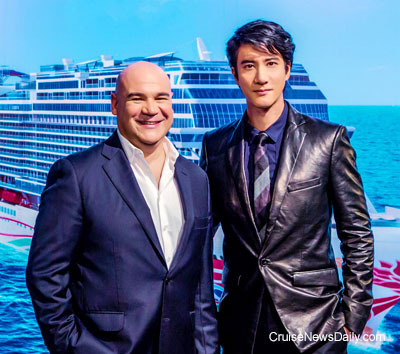 The complete story appeared in the December 6 edition of Cruise News Daily. Carnival Corp brands will continue to operate from Port Tampa Bay for another five years. The port last week signed an agreement with the world's largest cruise company that covers their Carnival and Holland America brands to continue sailing from the Florida port through 2021. Carnival's German brand, AIDA, has a program that the its sister lines should consider. People living near Hamburg, Kiel or Warnemunde who have always wanted to go on a cruise have an opportunity to see what it's like without committing to going on a whole cruise. Likewise there might be other cruise fans who just want to see what a megaliner (AIDA's newest ship, AIDAprima) is like. 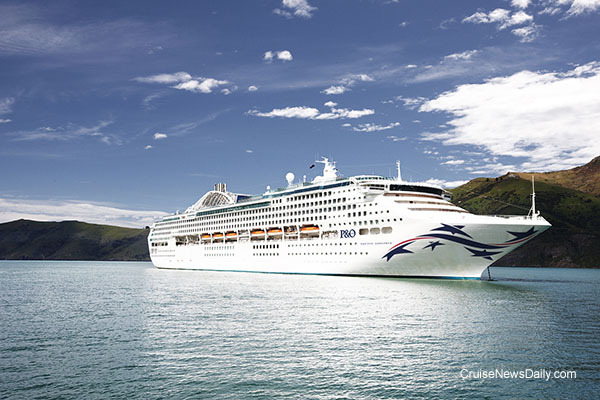 Details appeared in the December 6 edition of Cruise News Daily. Royal Caribbean Cruises Ltd has declared a 48-cent-per-share dividend. The quarterly dividend is payable on January 5, 2017, to shareholders of record at the close of business on December 21, 2016. Payments should arrive just about the same time as the holiday bills. This item appeared in the December 6 edition of Cruise News Daily. 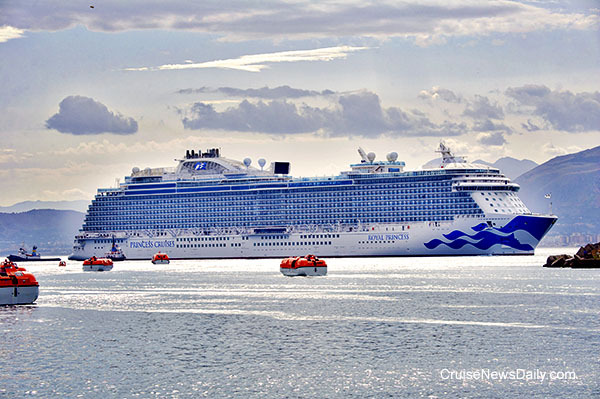 Grand Princess' current voyage is being cut short because of an unusual incident aboard the ship last week during a Hawaiian cruise. The ship had departed Maui en route back to the Mainland when a tender platform on the starboard side unexpectedly opened and was damaged. The damage prevented the platform from being reclosed, and it also caused minor damage to the hull. Details appeared in the December 5 edition of Cruise News Daily. Last May we told you about the first fresh mozzarella being made aboard Costa Diadema as part of a pilot project that would see the Italian specialty being made fresh aboard all Costa ships by the end of next year. Since then, the project has expanded to Costa Favolosa, and they have a partner, Italian cheesemaker Latteria del Curatino. Now the cheesemakers aboard the two ships are popping out enough balls of exquisite fresh buffalo mozzarella each day to satisfy the appetites of all the passengers, and the cheesemaking is ready to ooze out onto the other six Costa ships as fast as mozzarella oozes on a hot grill in the sun. In the (silent) video below you can watch Costa cheesemakers at work aboard a Costa ship making the fresh buffalo mozzarella. 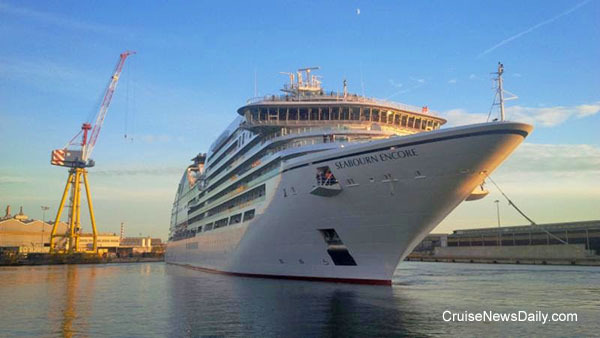 The complete story appeared in the December 5 edition of Cruise News Daily. 2017 is going to be the twentieth anniversary of Holland America's private island in the Bahamas, Half Moon Cay. 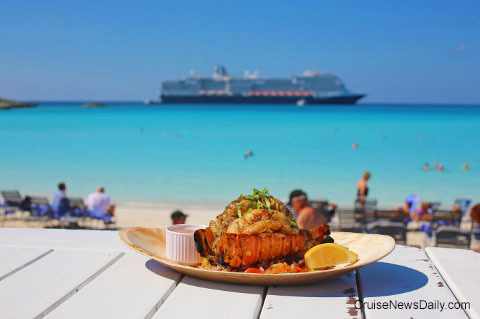 To celebrate, the line has opened the Lobster Shack, a new premium outdoor restaurant on the island. Details appeared in the December 2 edition of Cruise News Daily. Surprise! The Lobster Shack serves only lobster. Photo courtesy of Holland America Line. All rights reserved. Just in time for the holidays, there's a new shopping experience aboard a couple of Celebrity ships. Online shopping retailer Gilt.com is opening pop-up shops aboard Celebrity Silhouette and Celebrity Reflection. The shops will be operating from December 3 to January 29. 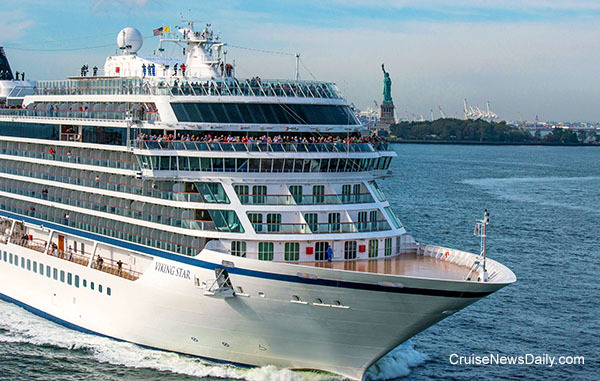 The complete story appeared in the December 2 edition of Cruise News Daily. Princess Cruises has agreed to plead guilty to seven felony counts related to Princess crew members deliberately polluting and then covering it up. Princess will pay a $40 million fine, but all Carnival brands calling at US ports (eight lines) are being required to take remedial action to ensure it won't happen again, and they will be monitored by the government for five years. The fine is the largest ever imposed for intentional polluting by maritime vessels. The acts were performed by crew members apparently believing they were being directed by other mid-level management employees to save the company money. Carnival had policies in place prohibiting the practices in which the employees were engaging, and there were procedures in place to monitor what was being discharged from the ships. The problem for Princess and Carnival was that the employees were circumventing these, and management's actual oversight was insufficient to catch the violations. 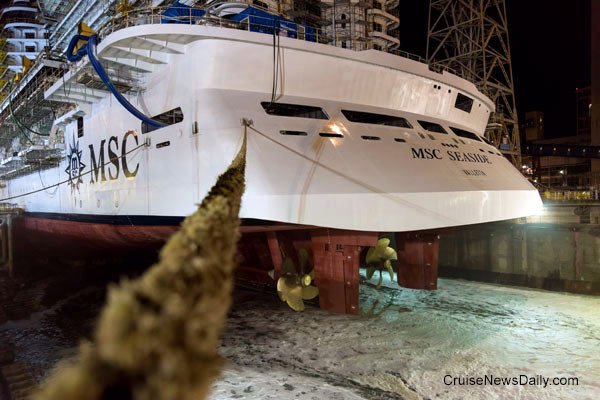 The complete story appeared in the December 1 edition of Cruise News Daily. Earlier this week we told you that Fincantieri had floated out MSC Seaside over the weekend. Now MSC and PortMiami have begun expanding and upgrading what will be the ship's new home at its Miami home port. In a major event today, ground was broken at PortMiami today for the new construction. This video shows a bit of the construction of MSC Seaside as well as last weekend's float out, a bit of the ship and some of the plans for the new Terminal F at PortMiami. 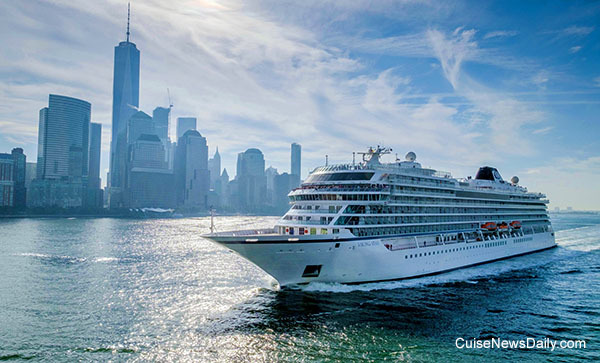 The complete story appeared in the November 30 edition of Cruise News Daily. Warning: This video contains several flashes and fast cuts to other scenes. Those who are sensitive to such things should consider this before viewing it. P&O Australia inviting their passengers to "have one for the Reef." 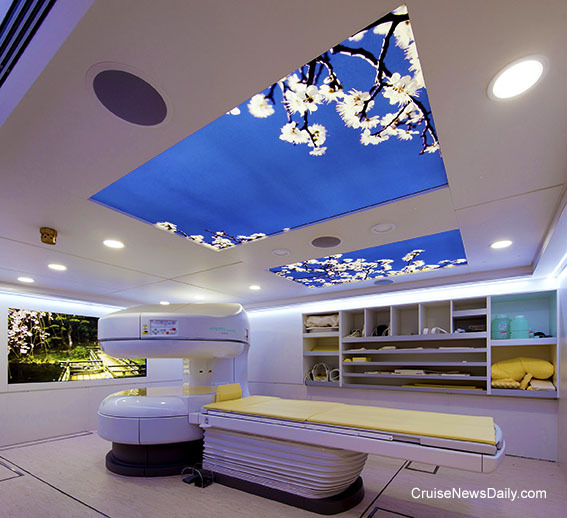 Details appeared in the November 30 edition of Cruise News Daily. If you've been sittin' on the dock of the bay, as the song says, and that bay is in the Caribbean, it's been a long time - four years - since you've seen a big, white Princess ship in the summer. But in the summer of 2018, you'll keep seeing Caribbean Princess coming over the horizon all summer long. With many Americans wanting to vacation closer to home, this is the time for Princess to stay in the Caribbean year round again. Details appeared in the November 29 edition of Cruise News Daily. 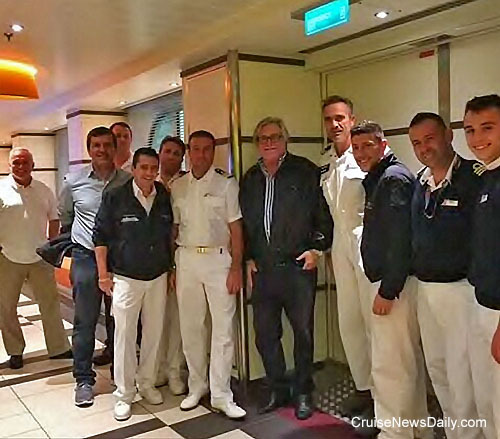 It's only a few days until delivery of Seabourn Encore, and Carnival Chairman Micky Arison was spotted aboard yesterday checking things out. 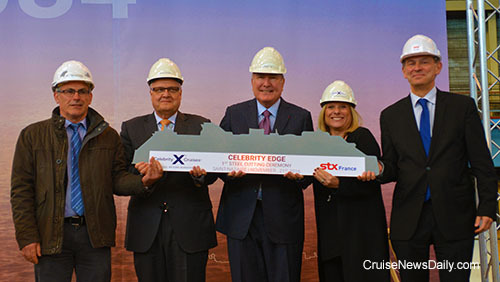 The complete story appeared in the November 29 edition of Cruise News Daily. 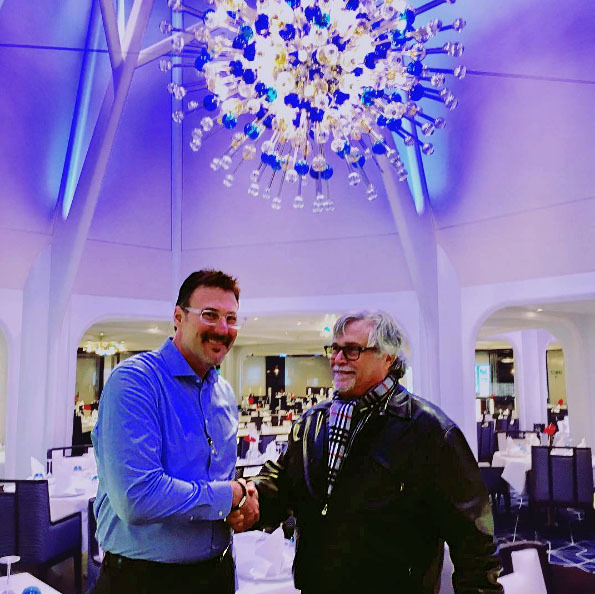 Carnival Chairman Micky Arison congratulates Seabourn President Rick Meadows on the completion of Seaboun Encore. Sushi will be Seabourn's first dedicated sushi restaurant. Photos courtesy of Seabourn Cruises. All rights reserved. May not be copied or used without express permission. Last Wednesday, Carnival Corp let it be known that there are going to be changes coming to their highly touted Cuban cruises, but Carnival isn't ready to put all the details out there yet. The main point they put out there is that the Cuban cruises will be operated by another Carnival brand beginning in the second half of 2017, subject to Cuban approval. Adonia will return to P&O and resume programs for them similar to what it was doing before it was “loaned” to Fathom. That's about all Carnival was willing to say on the record, but it tells us lots, and it shouldn't be that surprising, because it seems to have been setting up for months. 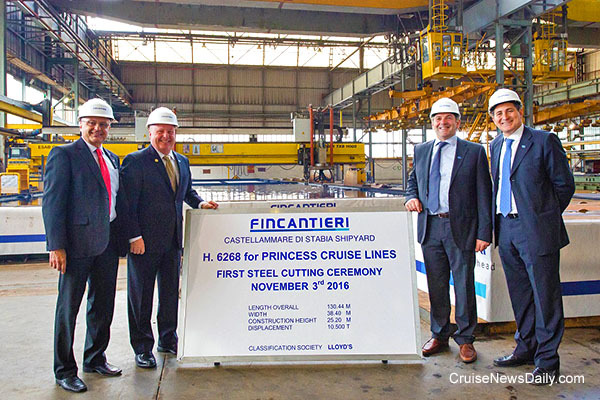 The complete story appeared in the November 28 edition of Cruise News Daily. Fincantieri floated out MSC Seaside at their Monfalcone yard on Saturday. The event marks the end of the construction phase of the 160,000-ton ship. When the valves were opened in the dry dock, the ship touched water for the first time. Once it was floating, it was towed to finishing dock where it will remain until it goes on sea trials. Details appeared in the November 28 edition of Cruise News Daily. Additional photos are on our Pinterest board. Photos courtesy of MSC Cruises. All rights reserved. May not be copied or used without express permission. Port Canaveral is having a record-breaking month. 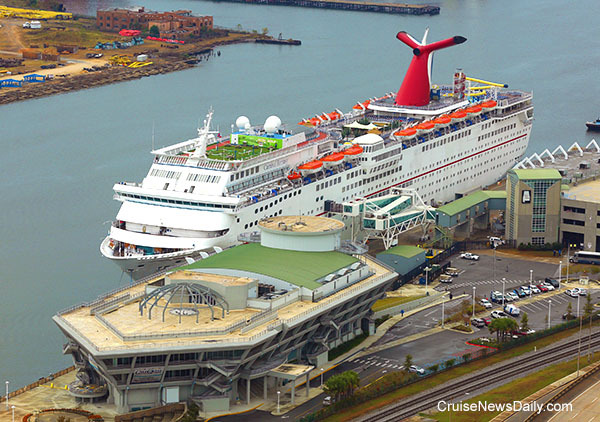 In the first two weeks, 35 cruise ships have visited the port. Those include ships both turning around, which are homeported there, and ships just on port-of-call stops. This weekend the port is reopening Cruise Terminal 10 after an extensive expansion and renovation which enlarge it enough that it can handle Norwegian Epic, which made its debut at the port last week, and will be homeported there for the next two winter seasons. Details appeared in the November 18 edition of Cruise News Daily. You know how sailing into Amsterdam is such a great experience? You dock right in the middle of things near Central Station. Well, that experience may soon be going away. The city may move the cruise terminal somewhere outside the center. 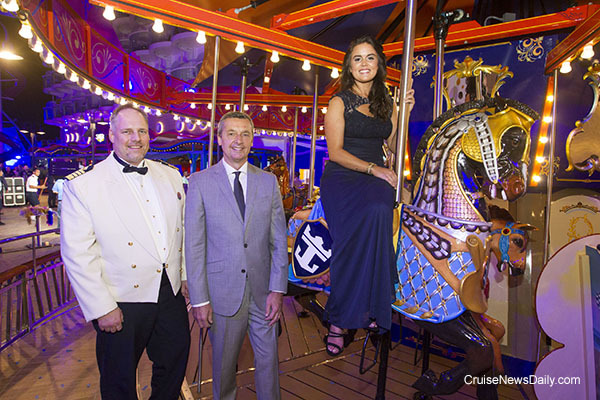 The complete story appeared in the November 18 edition of Cruise News Daily. Today was a big day on Harvest Caye because after more than a year delay, Norwegian Dawn was the first cruise ship to call today, opening the island for a steady stream of Norwegian passengers sailing in the western Caribbean. 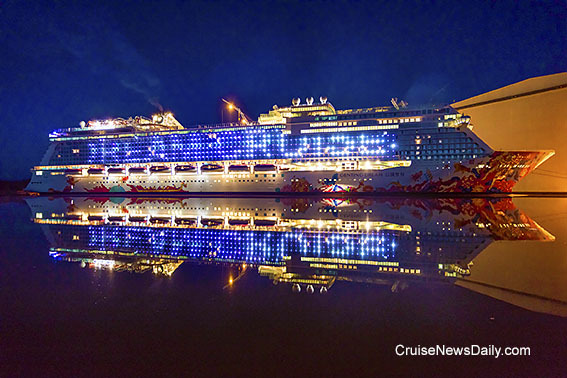 The complete story appeared in the November 17 edition of Cruise News Daily. Photos courtesy of Norwegian Cruise Line. All rights reserved. May not be copied or used without express permission. Early Tuesday morning, Emerald Princess glided into Sydney Harbor, but she wasn't unnoticed. She was greeted by a row of green flames (connecting with Emerald Princess and the Emerald City, get it?) as she slid by the iconic Sydney landmarks. This wasn't just a port call. Emerald Princess will be homeported at Sydney all summer (in Australia) long - until April during which time she will sail 13 times to New Zealand, the South Pacific and Tasmania. The 113,000-ton Emerald Princess is the largest of the five ships Princess has based in Australia this year. Giving her special appeal is that aboard is the new SHARE restaurant created by Australian celebrity chef Curtis Stone. 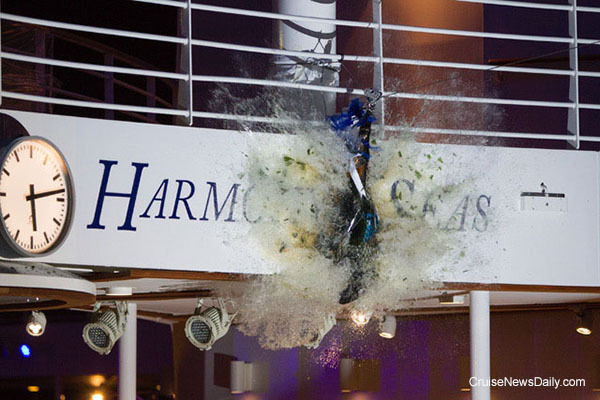 Check out the Australian welcome for Emerald Princess. Details appeared in the November 16 edition of Cruise News Daily. “Encore” is a word soprano Sarah Brightman is used to hearing often. She will use it herself when she names Seabourn's newest ship, Seabourn Encore, in Singapore on January 7. The evening naming ceremony will take place just before the ship departs on its 10-day inaugural voyage to Indonesia. Details are in the November 16 edition of Cruise News Daily. 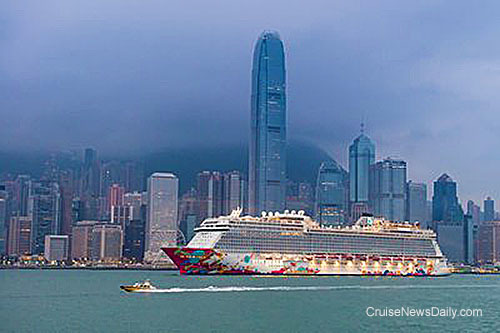 Genting Dream arrived at its home port of Hong Kong on Monday, ready to begin its pattern of two-night weekend cruises and five-night voyages to Vietnam. The event marked the first time a ship of this size (151,300 tons) has been homeported at Hong Kong. Photo courtesy of Dream Cruises. All rights reserved. May not be copied o used without express permission. 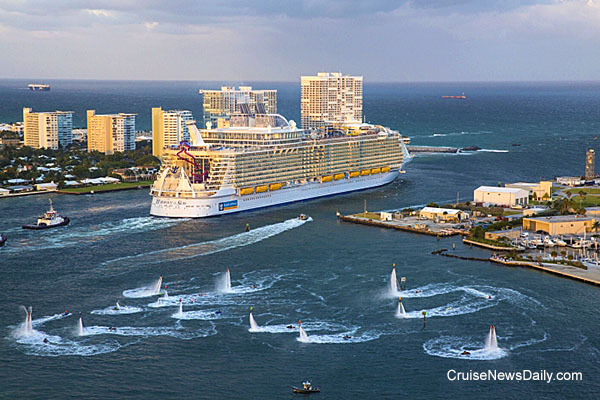 Harmony of the Seas is now homeported at Port Everglades. Take a quick look around. AIDA is doing things a bit differently than most cruise lines. Their big, new AIDAprima is homeported at Hamburg, where it's cold in the winter. Its seven-night itinerary remains in northern Europe where it's cold throughout the whole cruise during the winter season. 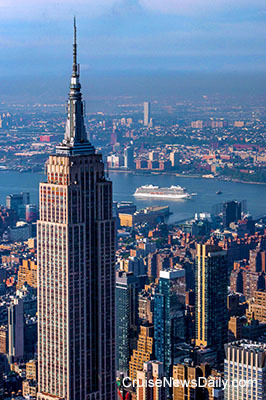 Passengers enjoy the ship's varied indoor resort features and the major cities at which it calls (Southampton, La Havre, Zeebrugge, Rotterdam, and two sea days). 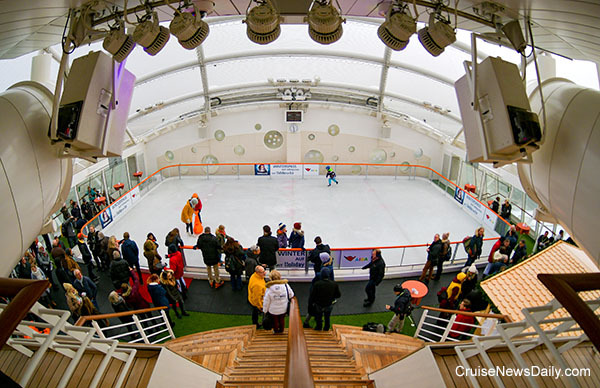 Since the top deck isn't going to get any usage this winter, AIDA has built a 2,100 square foot ice rink up there, 40 meters above the sea. Not only that, but they've partnered with the Holiday on Ice ice show for all sorts of events on the rink. 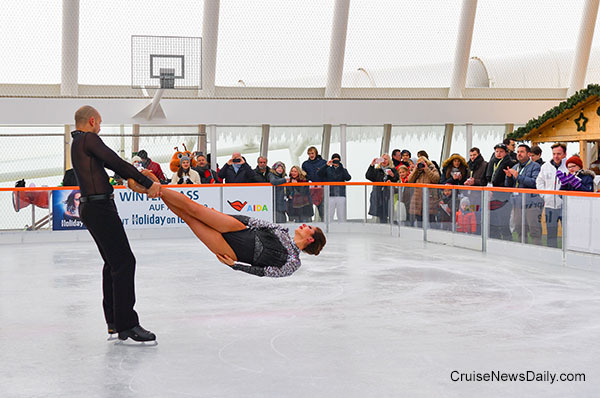 Photos courtesy of AIDA Cruises. All rights reserved. May not be copied or used without permission. Carnival Corp CEO Arnold Donald will give the opening keynote address at CES 2017 in Las Vegas on January 5. He'll be telling attendees about an entirely new experience coming for customers of Carnival's brands. Crystal said today they will redeploy their ultra-luxury yacht, Crystal Esprit, to the Caribbean in late 2017 and all of 2018. Crystal made the decision based on customer feedback that said they would prefer to have the ship in a more easily accessible location rather than exotic locales. 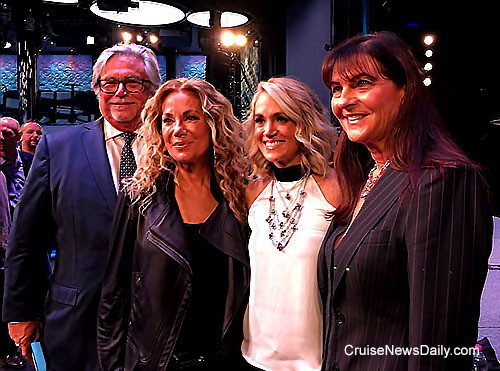 Details appeared in the November 14 edition of Cruise News Daily. 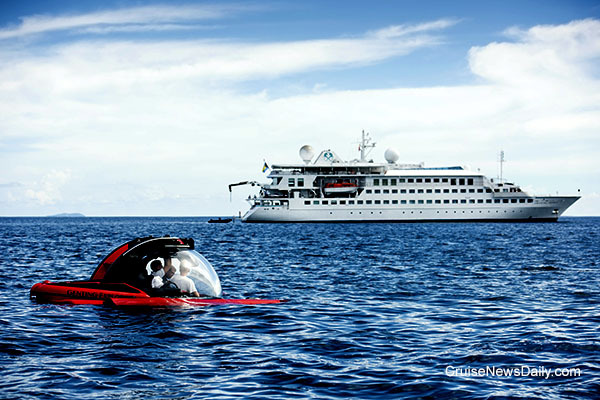 Photo courtesy of Crystal Cruises. All rights reserved. May not be copied or used without express permission. 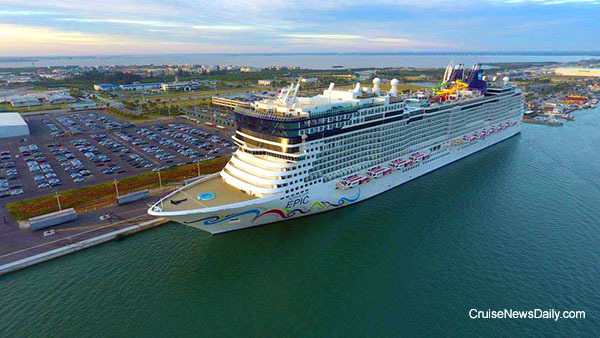 Norwegian Epic arrived at Port Canaveral on Saturday for a winter season of Caribbean/Bahamas sailing that will run though March, but Norwegian has committed to bringing the ship back again in November. 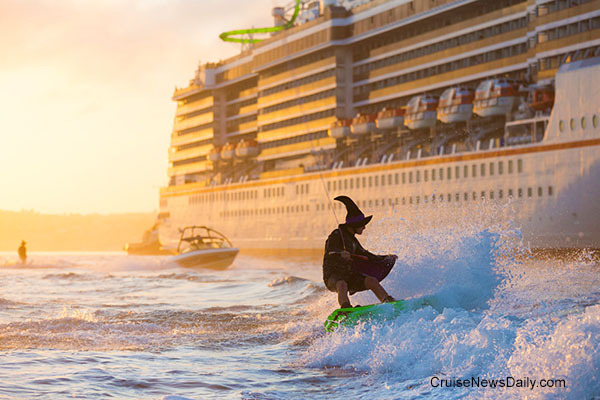 At 155,873 grt, Norwegian Epic is one of the largest and most feature-rich ship ever to homeport at Port Canaveral. There will be pasta for dinner on Tuesday. I know because it's World Pasta Day, and it's required. And somewhere it's going to be celebrated to the max is aboard all Costa ships worldwide. Would you expect less from a company who has partnered with Barilla, the world's leading pasta maker? The complete story appeared in the October 21 edition of Cruise News Daily. 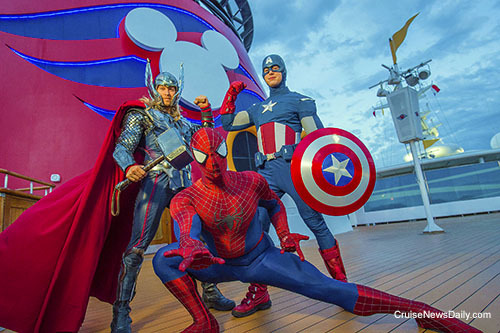 Marvel Super Heros to sail aboard Disney Magic from New York next fall. Bar Harbor keeping their limit in place on the number of cruise passengers they accept on any one day. Holland America more than doubling the number of passengers they plan to bring to San Diego this year. Details appeared in the October 21 edition of Cruise News Daily. Holland America is marking their new partnership with America's Test Kitchen with a live broadcast and cooking demonstration (just like you'll find on the HAL ships) on the Holland America Facebook page. 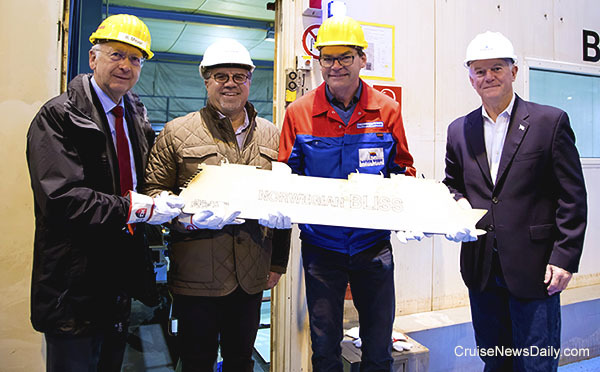 P&O Cruises has released details of the extensive work they plan to do aboard Oriana when it goes into a three-week dry dock at Hamburg at the end of November. The trick will be to rejuvenate the ship's decor while staying true to its elegant and traditional design. Four women who thought they were getting a free cruise aboard Freedom of the Seas but were actually supposed to carry drugs into the US were sentenced today in US federal court. When AIDAluna called at Norfolk, like in every port, many of their passengers set off on bicycles to see the sights, and it was surprising what they wanted to see in Norfolk. 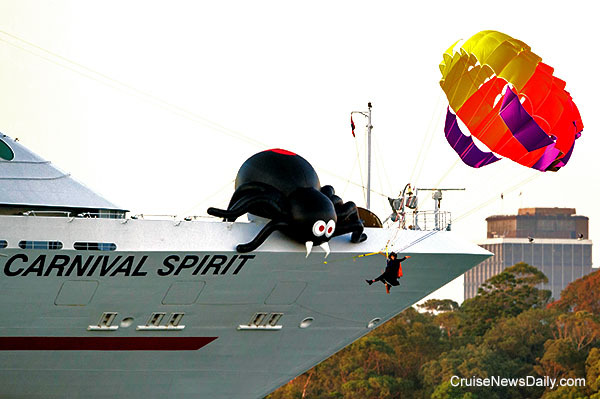 Investors will get their quarterly dividend from Carnival Corp just in time for holiday shopping. Details appeared in the October 20 edition of Cruise News Daily. 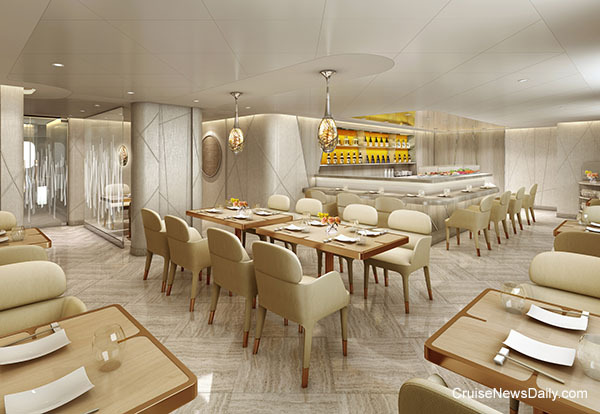 With only six months to go before it enters service, Silversea today began detailing some of the dining that will be available aboard their new flagship, Silver Muse. In the cruise industry, Silver Muse is seen as a small ship, but by culinary offerings, Silversea says it is probably the largest ship in the world. Eight restaurants will offer an array of culinary experiences, some favorites of Silversea passengers and some brand new offerings. 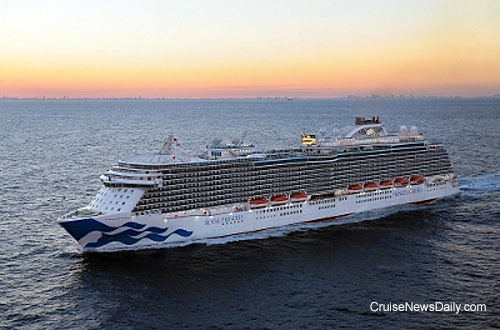 The complete story appeared in the October 19 edition of Cruise News Daily. A former cabin steward convicted of a brutal attack on a passenger getting his sentence explained and being sent back to jail. Royal Caribbean working on a new signature event for Anthem of the Seas code-named "Flash Bang." It will be a 3D virtual reality event where you won't have to wear any glasses. A video tease is below. 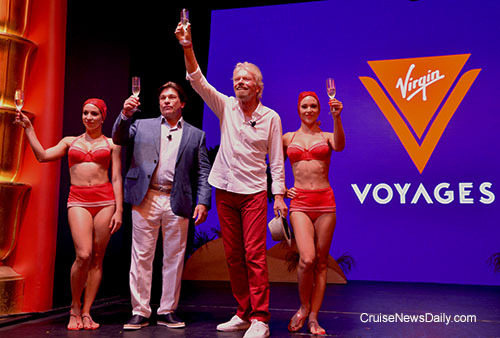 Not many cruise line corporate announcements feature two bathing-suit-clad girls dancing on deck chairs, but it's a sign this cruise line is going to be different. The still-to-be Virgin Cruises had summoned the media to a swanky Miami Beach hotel today to update the industry on the progress the line is making in becoming a reality. Carnival Maritime's Hamburg Fleet Operations Center has expanded by taking on responsibility for the P&O (UK) and Cunard fleets. Until this week, the FOC has been responsible for the26 ships in the fleets of AIDA, Costa and Costa Asia. With the additional two brands, the center now manages 37 Carnival ships. The complete story appears in the October 18 edition of Cruise News Daily. 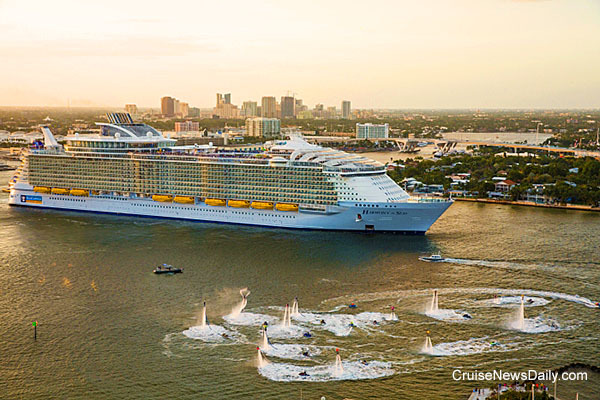 Just five more days and Harmony of the Seas will be leaving Europe for Port Everglades, her new home port. (She arrives on November 4.) The third Oasis-class ship, Harmony is slightly larger than the others, making her the world's largest cruise ship. Packed with new and interesting experiences, this video will show her to you like you've never seen her before - by the numbers. Carnival Cruise Line signed an agreement to take over use of the entire geodesic dome in Long Beach that they have been partially renting for use as their cruise terminal in the Southern California city. The agreement and remodeling will more than double their current space and allow the line to bring larger ships into the Long Beach port. The complete story appeared in the October 17 edition of Cruise News Daily. Restrictions being lifted on bringing Cuban cigars and rum into the US. Details appeared in the October 17 edition of Cruise News Daily.